It's called Second Beach but it is certainly one of the most, if not the most, beautiful beaches in this region. 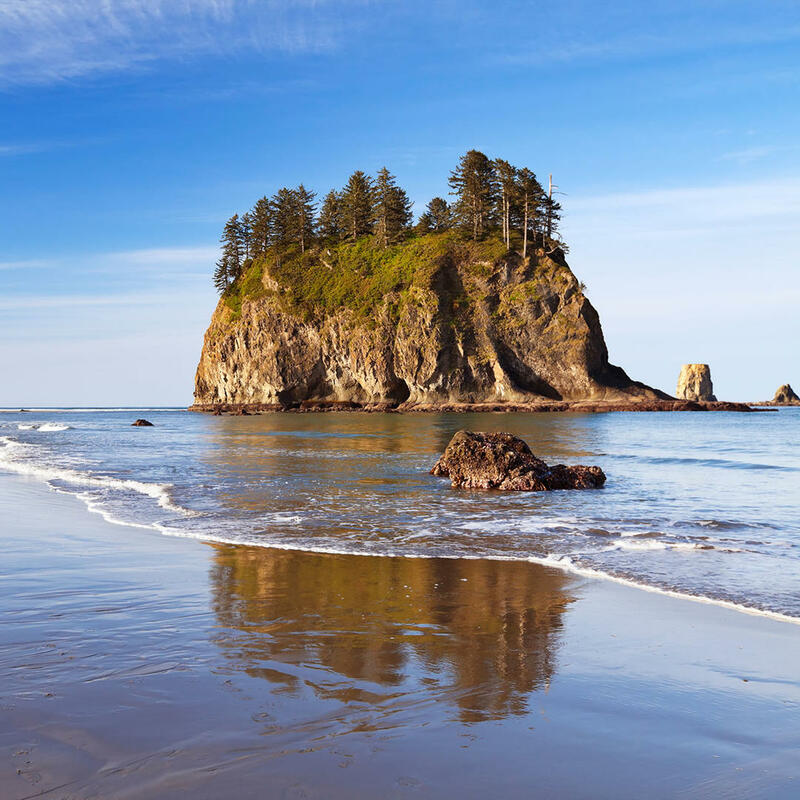 Located on the Olympic Coast this beach features strange monoliths jutting out of the sea and the backdrop of a lush, green Washington forest. Park your car and hike the short one mile to the shore. Bring a blanket and picnic basket and enjoy the rugged coast with a friend.